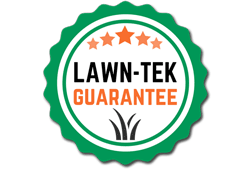 We offer the most powerful Lawn Care Service Guarantee in Iowa. Our Personal 100% Iron-Clad, Risk Free Guarantee to You! We want you to be totally thrilled with our lawn service… And absolutely delighted that you will recommend us to your friends and neighbors. Frankly, we want to care for your lawn forever. You are the judge, if our work is not excellent, we will re-do the service in question for FREE. Nothing is more important to us than your complete satisfaction.